The NBA is a dream for a lot of people. They work and work their whole lives to try to hear their names being broadcast on the television as they are called to the stage to get the hat of their new team and shake the commissioner’s hand. But not everyone can make it to the NBA. There are some that don’t get that opportunity. And along with those that don’t get the opportunity, there are some that don’t last as long as they would like. In that instance, some players make the decision to quit playing the game. At that point, their second career starts quicker than they wanted it to. But for others, the decision to go overseas still is there. With that being said, it seems like the Chinese Basketball Association (CBA) is starting to become a place where former NBA players and college stars tend to land. And because of that, the CBA has become better and better. And with the NBA becoming a place that not everyone can play in, the CBA is becoming a place where players go. But with any league, there has to be some adjustments that have to be made. Besides the language barrier, there is one rule that is very interesting that may still be in play over there. “If you are American, you can only play three quarters of a game. So in that instance, the game became a strategic one as to who you play when.” says Harrison. Another interesting thing over there is the cities that are played in. Some cities are big and there is not much of an adjustment. But in some of the smaller cities, Harrison describes them by saying they are “as bad a third world countries”. And if you’re hoping for good officiating over there, then think again. When asked about the officiating, Harrison said “it is horrible and it makes you definitely appreciate the NBA officiating.” Like Harrison said earlier, there are millions to be made over there in China, but they are given at a smaller rate than in the NBA. The average NBA salary is roughly five million. The highest average salary per season over there is not even over $3 million. To give you an idea, former NBA player Andray Blatche just signed the richest contract in the CBA, making a guaranteed $7.5 million over three years (which the CBA used to only offer one-year deals). The CBA is growing and making some leaps in their history and from Harrison’s thoughts, the league is a legit league. The NBA season is heading towards the playoffs and many teams are still looking for help. Some teams out there are hoping veteran players like the Nets’ Joe Johnson and the Timberwolves’ Kevin Martin get bought out by their current teams. 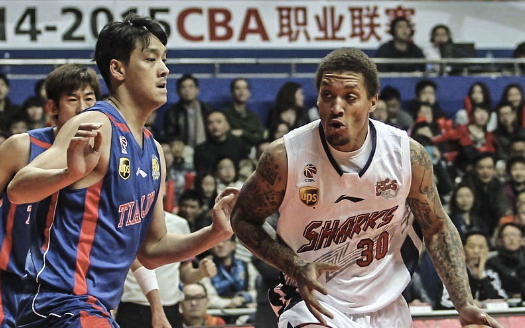 But another option people are looking at is the Chinese Basketball Association (CBA). The CBA consists of some former NBA players along with some local Chinese players. And every now and then, there is an NBA player that revives his career overseas. One player that seems to be doing so is Michael Beasley. Currently he is averaging 32 points and 13 rebounds for the Shandong Lions. And even though he is halfway across the world, many NBA front offices have been keeping tabs on how he is doing. Their belief is that Beasley will continue to show his worth and they want to be the team to take a chance on him to make it work. And because of his talent, he will more than likely yet another shot to make the NBA. But one guy that many have seemingly forgotten about is currently playing overseas as well. His name is Aundray Blatche. Plenty still remember when Blatche came into the NBA. He entered the NBA Draft out of high school in 2005 and fancied himself a first-round pick. But instead of being selected as early as he thought, he was selected with the 49th overall pick in the draft. His selection late meant that he was not assured to make the team and that there would be no big-time money given out to him to sign his rookie contract. He had to play himself onto the roster in Washington that season and he did. He seldom played his rookie season, but he eventually worked his way into being a player that the Wizards were looking to in their future. 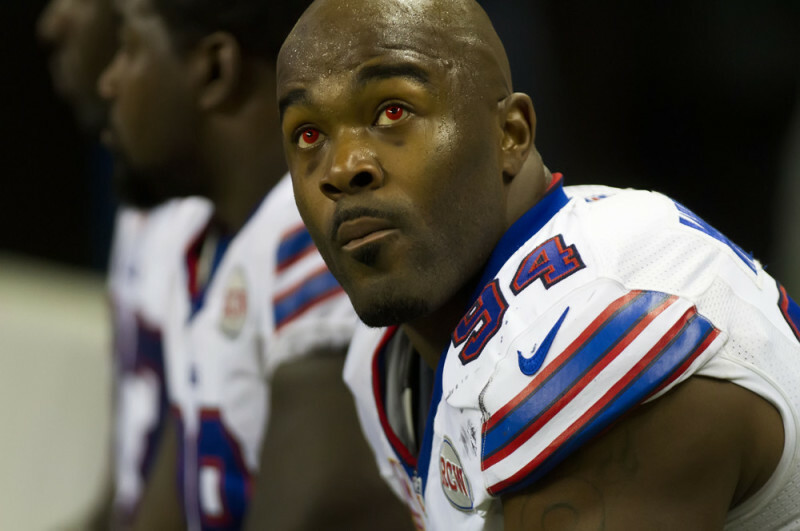 He was signed to an extension in 2010 that was going to pay him $35 million over the next five years. There was some thinking that he had turned the corner when he signed that deal. But unfortunately, he did not live up to that deal. The first season after signing the big deal, he did average 17 points per game and eight rebounds. But the following season (2011-2012), he suffered a setback in his progress, dropping down to nine points per game and getting in some trouble along with showing up out of shape. The Wizards decided to move on and they did so using the amnesty clause, cutting bait and going as far as to say Blatche was not in their future plans. Blatche would end up playing two seasons for the Brooklyn Nets at a discounted price (he was still getting his paychecks from the Washington Wizards per the amnesty agreement while in Brooklyn). 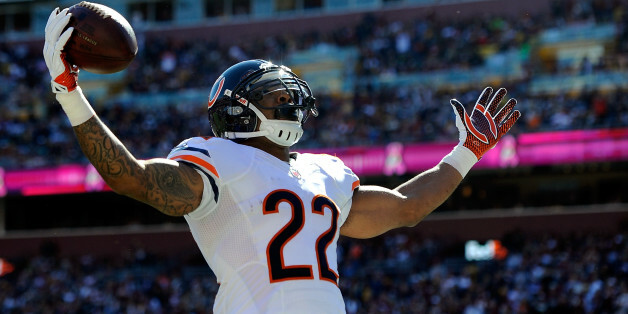 Those two years reinvigorated his career. He was in double-figures despite not playing more than 25 minutes a night and it was thought that he would be highly sought after in the free agent market in 2014. But instead, Blatche went a different route. Blatche declined his $1.43 million player option in Brooklyn and tested the free agent market. But that test ended up landing him in China. And from there, he has never come back. Blatche signed a one-year, $2.5 million deal in China that season and many thought he was going to come back to the NBA after that time. 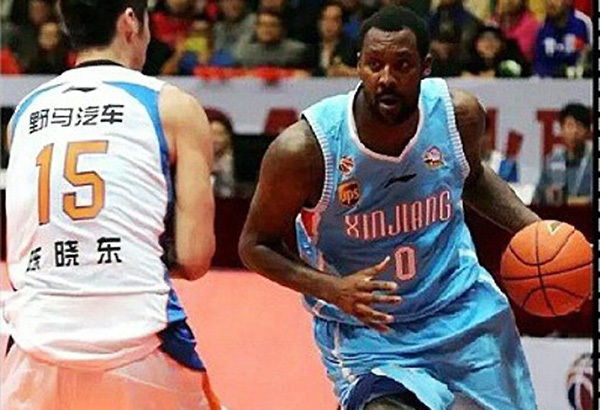 Instead of coming back, Blatche stayed away, deciding to sign a three-year deal with the Xinjiang Guanghui team in China worth $7.5 million. And the contract he signed included no opt out to come back to the NBA. He has decided that his second chapter will stay away from America (for now) and that he will try to make his career elsewhere at this point. So far he is averaging 23 points and 10 rebounds over in China this year and he seems to be happy there. Beasley is the guy many talk about taking a look at, but Blatche could probably help a team more than him (provided he is in shape). The versatile big man can handle the basketball, shoot and has vision on the court to hit the open man. As far as Beasley, he can score but there is not much else he can do besides that. Beasley has always been a liability in his career and that is something that has hindered him, along with the other off-the-court issues. Blatche may fit in great, but he does not want to fit into the NBA anymore. He instead chooses to go the path less traveled, and take his talents overseas to make a living. Beasley may be the name many are talking about, but Blatche is the guy that could help teams more right now. But as the years go by, his name will fade more and more from the NBA. Plenty will remember him for his flounders in Washington with he and JaVale McGhee beside each other. 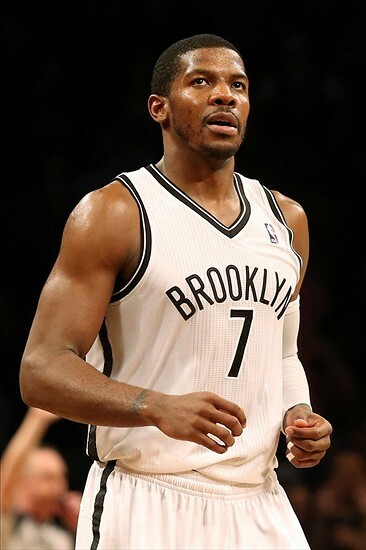 But many will forget that he righted himself in Brooklyn only to leave the NBA and not return. Now we will only see Blatche from a distance as he continues his career in China. It would have been interesting to see what he could have been if he signed to play in the NBA again. But we will probably never get to see that one happen again. The Oklahoma City Thunder have been trying to get Dion Waiters involved as a part of their team. They tried him in a few different roles last season when they acquired him from Cleveland at the trade deadline. The results were sporadic at best and he did not help them as much as they thought he would. This offseason, the Thunder made a coaching change and also were thinking of signing Waiters to an extension. Both sides were unable to agree on a deal however. But the Thunder expected as Waiters got more comfortable beside Kevin Durant and Russell Westbrook, that he would produce better numbers. He was put in the Sixth Man role and recently has been starting for the Thunder. And even with more familiarity with Westbrook and Durant, he is still get the same type of numbers while playing some lackadaisical basketball still. Add what he is producing with the starter for most of the season at shooting guard, Andre Roberson, and the Thunder still have that hole at the shooting guard position. But if they actually looked down the bench some last season, they may have had the answer right there with them. 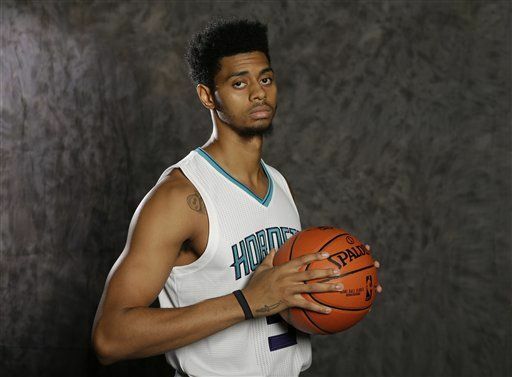 Jeremy Lamb has had a career in the NBA that has been known more for who he was traded for them what he has done. 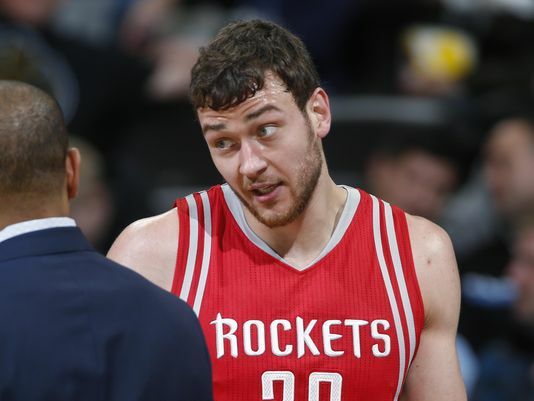 For those that may have forgot, Lamb was a player that was included in the trade Houston made for the services of James Harden. When he was acquired in Oklahoma City, it was almost a foregone conclusion that he was going to eventually be the starting shooting guard for them. Well, that never materialized in OKC and he was eventually buried on the bench there. Even though he was a guy that shot the ball relatively well and could defend his position, there seemed to be a short leash with him in OKC under the coaching of Scott Brooks. In games where Durant, Westbrook or both would be out, Lamb would have some good shooting games and others where he would go missing. But even with that, he was still competitive on the defensive end more than Waiters was and gave the Thunder more there. But because of the trade that was made for Waiters, it seemed like OKC was going to force Waiters upon that team to justify trading for him. As a result, this offseason Lamb was traded to the Charlotte Hornets for the services of veteran point guard Luke Ridnour (who was consequently waived by OKC soon after the trade) and a 2016 second round pick. The trade to Charlotte was a now-or-never trade for Lamb. He landed on a team that needed him to play well on the offensive end. And since he has been a member of the Hornets organization, he has definitely done so. Lamb is averaging a career-high 10.8 points per game off the bench in 21 minutes per game. He is shooting 47% from the field, including 32% from the three-point line, and he is getting 5 rebounds a game. Lamb and Jeremy Lin (who combine to make the highest scoring bench duo in the NBA) have helped Charlotte make it to the seventh spot currently in East. He is making the most of his opportunity and will more than likely be getting paid next season because of it. Taking a look at his numbers, he has actually performed better than Waiters in less minutes. Waiters is averaging 9.7 points per game while shooting under 40% and committing 2 turnovers a game. That isn’t exactly what the Thunder were looking for off the bench this year. And despite the success the Thunder have had this year, they could use a consistent shot in the arm off the bench. And Waiters has yet to provide that consistently. The Thunder thought they were getting that from Dion, but they have not got that one just yet at all. Looking back at it, the Thunder really did not give Lamb a fair shot at all. If the organization would have stayed with him through the growing pains, he would have been the starting shooting guard for them right now. But instead of doing that, they thought Waiters was the answer. And with that, the search for a starting guard beside Durant and Westbrook still goes on. Oklahoma City has been known for grooming and growing players, but they dropped the ball on this move and it could cost them. Lamb would give them a shooter they need instead of a player they cannot trust. Every year college basketball starts to pick up around this time. Teams are closing out their season and conference tournaments are getting ready to start. 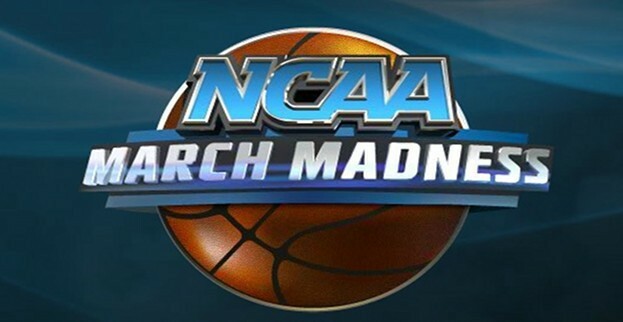 And along with that, many are starting to think on who their favorites will be heading into March Madness. Plenty are probably even scouting teams to see who they will pick to win it all. Usually by this time, there are a few teams that many are sold on in regards to having a good chance to win the title. Last year, there were really high hopes for the University of Kentucky and Duke was also a team many thought of as winning the title. Duke was able to do so and prove many right about them. And while Kentucky did not win the title, they made it all the way to the Final Four before being upset by Wisconsin. Coming into this year’s tournament, there is not that much certainty on who could win the tournament. There are some nights that there are apparently obvious teams that could win it all. And the next game, that same team comes out and lays an egg. So why so much parity in college basketball this year you ask? The mass exodus to the NBA from programs has caught up to college programs, especially the top ones. Teams like Kentucky, who lost seven players, and Duke, which lost four (five if you want to count the dismissal of Rasheed Sulaimon), had a lot to replace coming into this season. And unlike the previous times when they were able to just reload and still be the same team, this year has been different. Duke, which has not exactly been the deepest team over the years, is really short this year with depth. And with senior forward Amile Jefferson missing most of the season with a foot injury, the Blue Devils were even more depleted. They have essentially been playing one big man all year (Marshall Plumlee) to go along with what they have. And because of that, they have been up and down all year long. Duke replaced their talent with more talent this year, but the magnitude of players they lost compared to what they have now is not even close. As far as Kentucky, they have been solid this season, but have not lived up to the hype they have had each and every season. They replaced the seven players they lost last season with the #1 recruiting class in the nation. And even though they brought in talent to replace talent, they have not been the same or played to the same level. They are starting to play well, but they have been up and down all season long. They sorely miss some of the guys they had last year and they are definitely not as deep a team. The fear they put into teams last season is not there in regards to this team and the effect they have on their opponents. And along with the fear they put into each opponent, some of the composure and experience walked right to the professional level. But other than losing players, there are just some imbalanced teams that are out there this year. Some teams have good inside play and shaky guard play while others have good guard play and nothing inside. Teams like North Carolina and Oklahoma come to mind as imbalanced. North Carolina has been strong inside all year. Senior forward Brice Johnson has been the man inside, giving the Tar Heels 16 double-doubles all year long. And when the Tar Heels attack the basket as a whole, they can overwhelm you. But the make or break thing about them is their three-point shooting. When teams force them to shoot the basketball more, there can be an issue. For example, in their most recent loss to their rival, the Duke Blue Devils, the Tar Heels went ice cold from three-point range. They shot 1/13 from behind the stripe and they froze out Johnson essentially in the last 15 minutes. This deficiency in their game is one thing that has cost them time and time again (along with some games where they come out in a malaise). As far as Oklahoma, they were better than some thought they would be at the start of the season. Behind senior guard Buddy Hield, the Sooners have been shooting the lights out for most of the season. But when they lose, more times than not it is because they depend so heavily on their perimeter game. They do not have one player that can really get it going inside when they are missing the three-pointers. And since they have gotten into conference play, they have not been as sharp with the jumpers and threes they take. The result has been a few losses this year in the conference and people are starting to cool on them. The reliance on jumpers and threes can be something that could harm this team in a one-game scenario and could ultimately lead to their downfall. The collective inexperience across the county with teams along with the imbalanced teams have led to the current climate we have going into the tournament. And what this has created is a tournament that is wide open. Anyone that can pick which teams make the Finals Four with 100% accuracy needs to play the lottery immediately. I hope everyone is ready to be entertained. This college basketball season is going to have an exciting finish. The trade deadline has not been kind to fans of the Memphis Grizzlies. They saw their best shooter get traded to the Charlotte Hornets and all they got in return was forward PJ Hairston (who has been inconsistent at best), veteran center Chris “Birdman” Andersen (he has been missing in action all season) and four second-round picks that probably will not amount to much. But just when you thought it could not get any worse for the Grizzlies, they made another trade that makes you scratch your head. 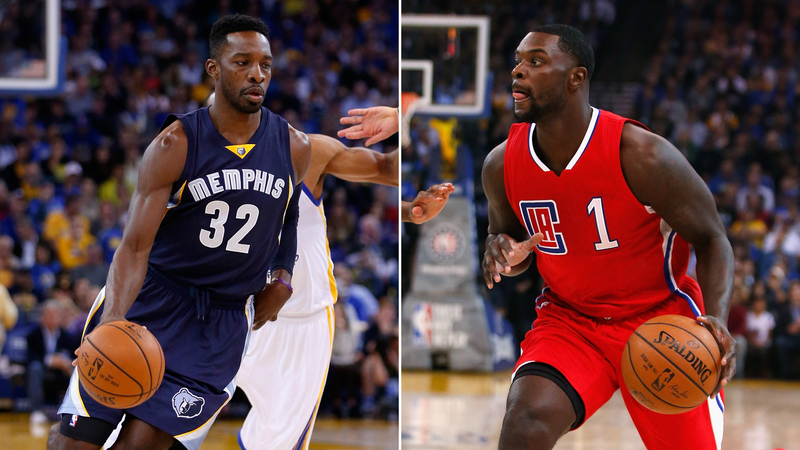 The Grizzlies traded forward Jeff Green to the Los Angeles Clippers for the services of guard Lance Stephenson and a 2019 protected pick. And with that, the Grizzlies now have lost yet another offensive weapon while taking on another player that is still trying to find himself. All while the Clippers will get to see what they can do with Jeff Green more than likely being their starting small forward eventually. But in reality, what both really did is swap inconsistent (Green) for bad (Stephenson). And in the end, both could end up not being a factor for their respective teams. In Memphis, the main ballhandler has always been Mike Conley Jr., The dynamic point guard has been the best perimeter player for the Grizzlies for a while now. What the Grizzlies have always lacked is that scoring ability and consistency from the small forward position. They honestly have not had great production from that position since they had the services of Rudy Gay. In Green, they had someone that was at least giving them a pulse at that position. But with him gone, the pulse again goes to a flatline as they try to audition people for that position. And in Courtney Lee’s spot, they will now audition Lance Stephenson potentially. In Stephenson, the Grizzlies get a guy that can play tough defense. But for the Grizzlies, they already have a tough defender in Tony Allen. Offensively, Lance will make them even worse. He has not learned how to play without the basketball yet and the only way he can help this team on the offensive end is if he gets the ball in his hands. If Coach Dave Joerger can allow Stephenson to control the ball some, then maybe they will get some more out of him offensively. If not, then you are looking at another guy on the Grizzlies that cannot knock down an open shot and looks lost off the ball on the offensive end. That will make the Grizzlies even uglier offensively, especially without big man Marc Gasol for a while. The Clippers are essentially being hailed as the winners in this trade. With what they were getting at the small forward position with Paul Pierce, Stephenson and whoever they threw out there, is nothing compared to what they could potentially get from Green. The veteran forward is averaging 12.5 points per game this season. He can hit the open jump shot, take the ball to the basket and he can play solid defense. And to add to that, he has played for Doc Rivers before (played for Doc in Boston) and he can play the power forward position and you have a player that could help this team. You would think that this would be a move to solidify what they have going on this year. But if you have taken a look at the career of Jeff Green, it can be summed up in one word: inconsistency. Green can come out and have a great game where he scores 20 points and then come out the next week and score two points. And it is that kind of inconsistency that has driven the fans of teams he has played for crazy. With the Clippers, he will be counted on to shoulder some of the offensive load, especially with Blake out for an undisclosed amount of time. It will be interesting to see if he can find some kind of consistency with the Clippers, but he more than likely will not. And that kind of inconsistent play will make Clippers fans loathe him. But fortunate for him, he can hide a little come playoff time because of Blake Griffin being back. Both Stephenson and Green have not exactly got the best feelings out of fans of the teams they have played for. Stephenson was banished from Charlotte after his play was awful and he has not been the same since he left the Indiana Pacers in free agency. And he more than likely will have Grizzlies’ fans throwing things at their television sets. As for Green, he has been a tease for his entire career. And he will definitely be one for the Clippers. It is only a matter of “when” and not “if”. The trade has being spoken of as a win for the Clippers, but they just traded bad for inconsistent. And there is no telling how that will turn out. For more sports talk, feel free to follow me on Twitter and check me out on Facebook.